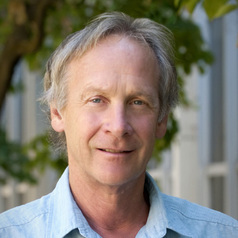 John Freemuth is Distinguished Professor of Public Policy and Executive Director of the Andrus Center for Public Policy. His primary interest is with the public lands of the United States. He recently wrote “A Happy Combination? Great Interests, Particular Interests, and State-Federal Conflicts over Public Lands” (Publius, 2018) and “US public lands and a new administration” in Environmental Policy and the Pursuit of Sustainability, Chelsea Schelly, Aparajita Banerjee, eds. In addition he blogged “Public Lands Policy under the Trump Administration” U Colorado Press, and is finishing an analysis of sage grouse issues for the Conversation. He chaired the Science Advisory Board of the Bureau of Land Management, after being appointed by Interior Secretary Bruce Babbitt. He is principal investigator on a grant from the United States Geological Survey working on improving the policy utility of GAP Analysis and with the Andrus Center is working on a grant from the Bureau of Land Management on policy issues surrounding BLM in Idaho. He has been a high school teacher, and seasonal park ranger. While a ranger, at Glen Canyon National Recreation Area he wrote “Wanderer for Beauty: Everett Ruess in the Glen Canyon Area”, a park interpretive handout and is glad Everett has yet to be found. He has a BA from Pomona College and a Ph.D. from Colorado State University. He was also named the Carnegie Foundation for the Advancement of Teaching /CAES of Professor of the Year for Idaho for 2001.